Let me be the first to say welcome to the madness . Ooooo... that top view of the black Enterra is just slick! I think you sent it into the right hands. With the right wheels and body work it'll be a head-turner for all the right reasons. 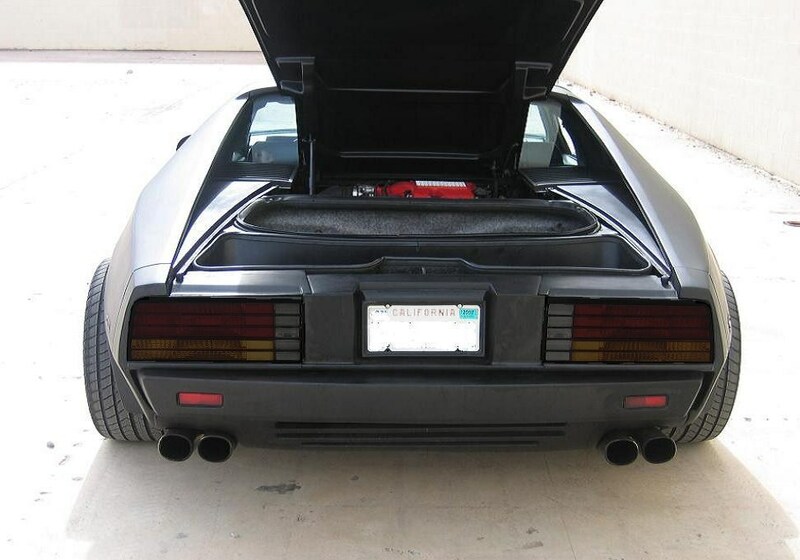 Tell me though, have you considered updating the tail lights for it or do you want to keep it original? (Maybe it's just me but I find they make the rear view look too much like a Datsun). Either way, good luck. Thanks! Troy & I are tossing ideas for the taillights. They definitely need to be updated. Thanks for the input. For the wheels, I mentioned to Troy a nice set of HRE's and he passed out. . As far as the motor, I'm looking at an LS4 Automatic. For the wheels, I mentioned to Troy a nice set of HRE's and he passed out. IMO, a set of 505's would look great on there! Thats a very nice project you have there... Seeing as how your married to troy I know you'll restore it with some justice.. I noticed the single wooden hockey stick holding up the decklid. Glad to see there's still at least a bit of the Enterra's Canadian heritage remaining! Maybe Archie will update the decklid with dual carbon-fiber hockey sticks. I can't wait to see how it turns out! These cars are awesome. LOL, Exactly, the 1st thing I thought of when I saw the Hockey stick was that it was in keeping with the Canadian heritage of the car. Well the wife likes her jewelry so I will have to put a nice set of rims on it . I was thinking about 19 x 8.5 front and 19 x 10 rear. She like these rims I saw yesterday the are Asanti AF 165, can someone please photoshop these on the car for her. Aight, did a quick dirty mockup using the mighty power of Paint.NET for ya. Without dimensions of the original tails, it's hard to know which round modules would work, so I just sorta guessed it with some random round combination units. YMMV. Hope this helps guys! Curious thing this Enterra, could turn out absolutely stunning with the right massaging to the bodywork. Archie will see it right. Your car has soooo much potential. Like someone said with the right touches you will have an exotic looking stunner. Got my popcorn and soda ready ! Thanks so much for the Photoshop rending for the taillights. I'm am leaning towards the stock Enterra lights with the smoke glass; updates the car without changing its original style. Now, as far as the wheels, I reserving my judgement until I see them photoshopped on the car. I'm asking Troy to post the HRE's I like as well. Can't wait to watch this build. Pete, that's funny! Troy was showing me the mod for the exhaust over the weekend. I am considering it. The more I look at the car the more I lean towards keeping it mostly stock with updated tail lights ( just smoked), tail pipe mod (2 to 4 tips centered), rear deck lid scoop mod like the black car ( lisa really likes that mod), update the side marker lights (looks funny with just the ribbed molding lights with out the molding), low profile head lights. Lisa has her work cut out for her as I'm just giving her ideas but she will make all decisions (even the wheels ) to make this truly her car. We were looking at modifying a widebody rocker but i feel that the center line on the door sits to low and a modified Madarch rocker would not look good and it would start to clutter up the side of the car. Oh yeah I almost forgot.... So is it called a Pontiac Enterra or what? It's an Enterra Vipre. And "Vipre" is spelled with an "re", not "er"... because it's Canadian, eh! [EDIT] Troy, I didn't see your post when I posted, but yeah, you got it right.